Slots Capital Casino is giving customers the chance to find ‘slots of love’ this summer with its latest game Mighty Aphrodite. The new slot from Rival Gaming is available with a number of bonuses that will gift players with up to 70 free spins. Slots Capital Casino is giving customers the chance to find ‘slots of love’ this summer with its latest game Mighty Aphrodite. 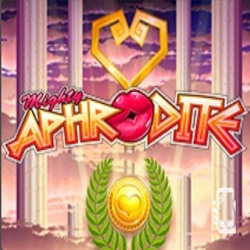 Aphrodite, the Goddess of Love, will join players in their quest with a host of special features including stacked wilds, multipliers and free spin rounds. Launching this week, the new slot from Rival Gaming is available with a number of bonuses that will gift players with up to 70 free spins. Aphrodite appears in the game as a stacked wild icon, which will take the place of two vertically stacked icons. Three or more Pegasus icons will also trigger the free spins round. In addition, should Cupid appear on your screen, prepare for even more love as he shoots and arrow to reveal your multiplier bonus! Available from July 19-22, 2018 only. Available to all players that have made a deposit in July.